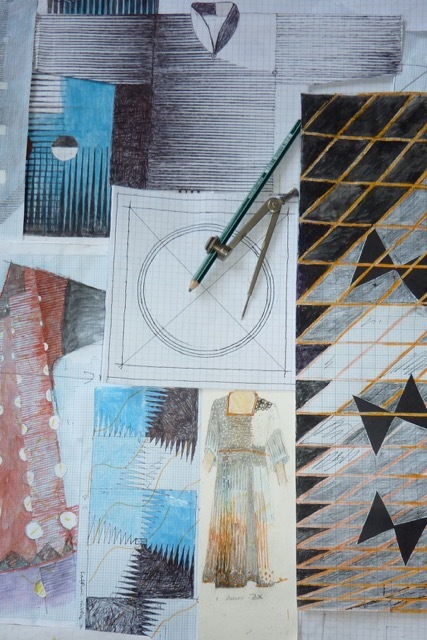 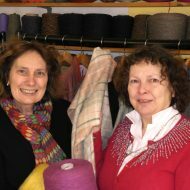 Stephanie Kemp and Alison Dupernex have drawn on their shared interest in designing with colour to drive their collaboration. 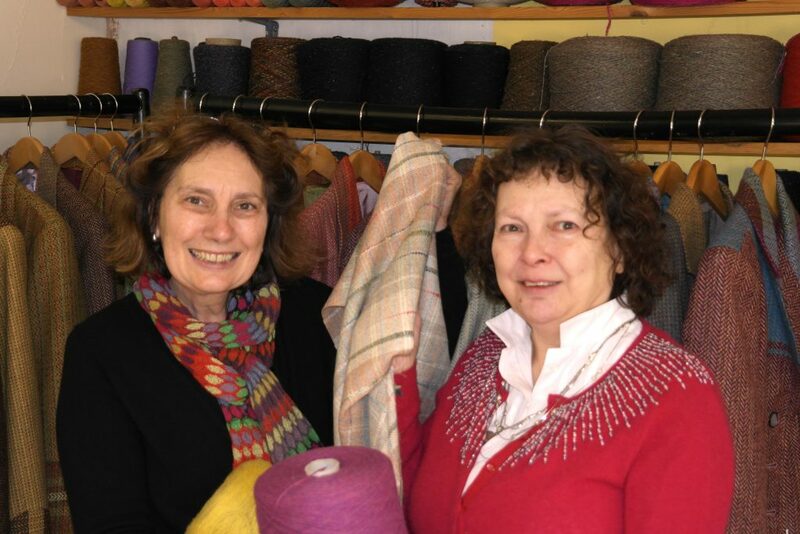 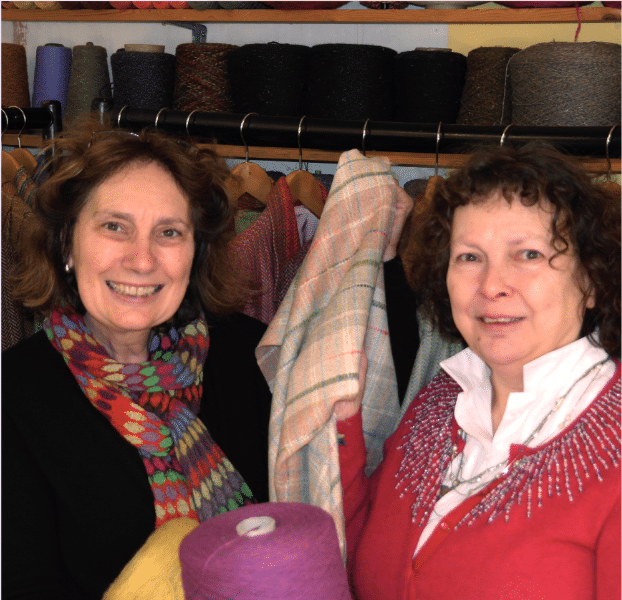 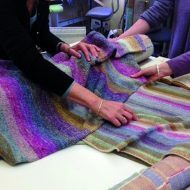 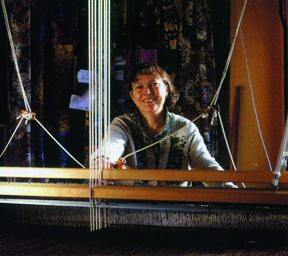 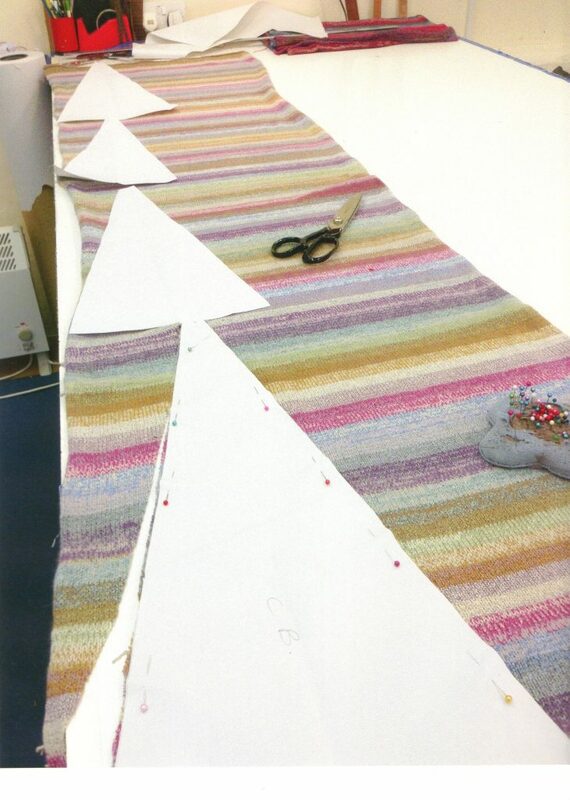 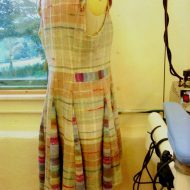 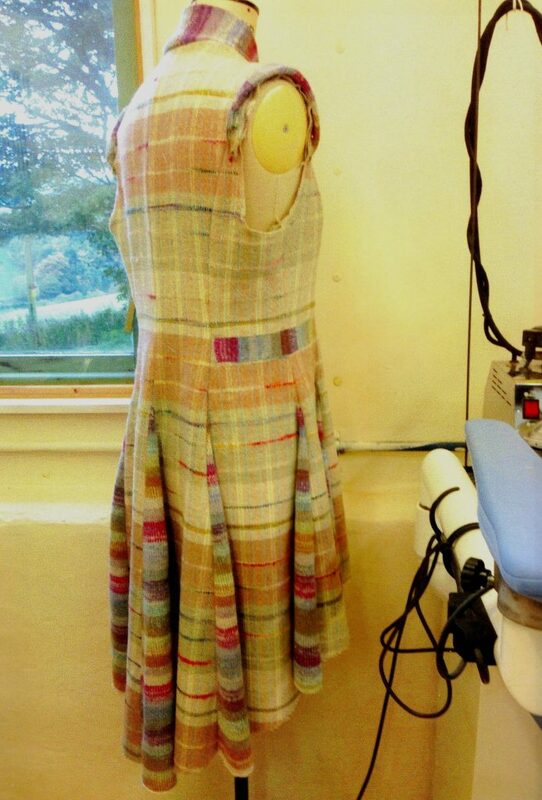 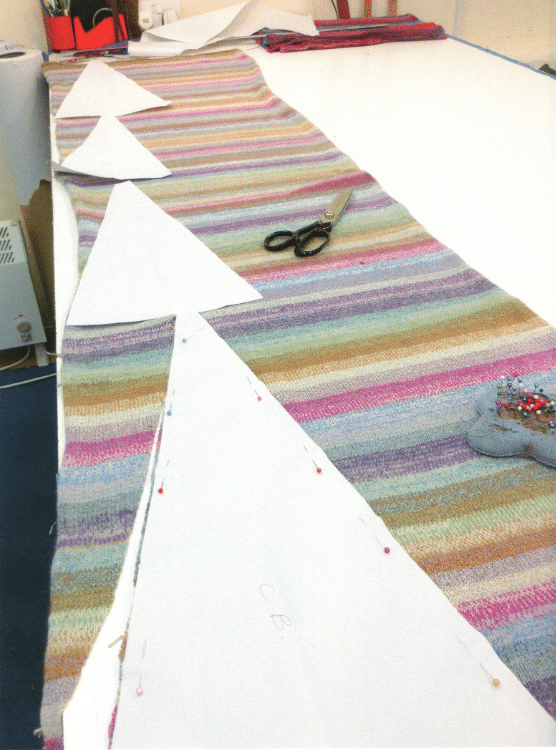 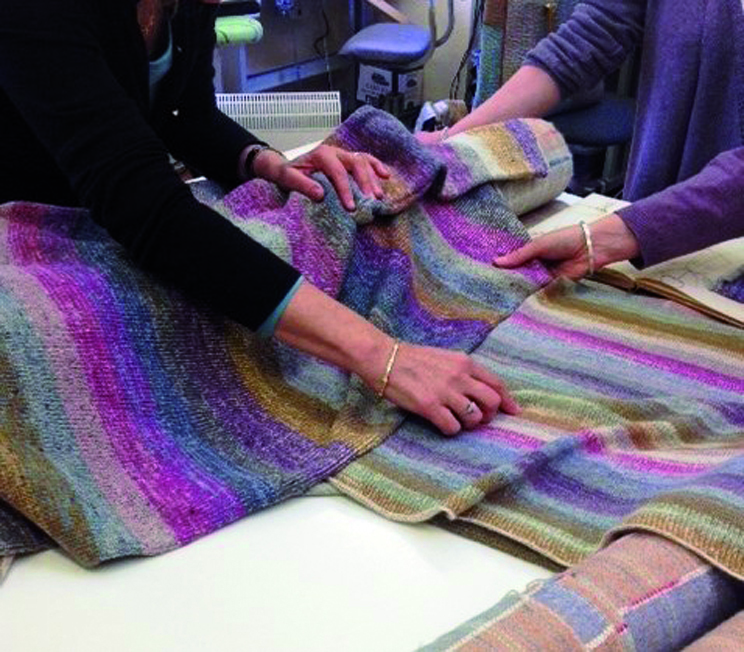 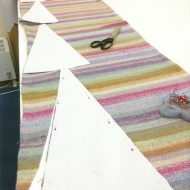 Both makers create garments from fabrics they have designed and made. 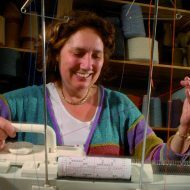 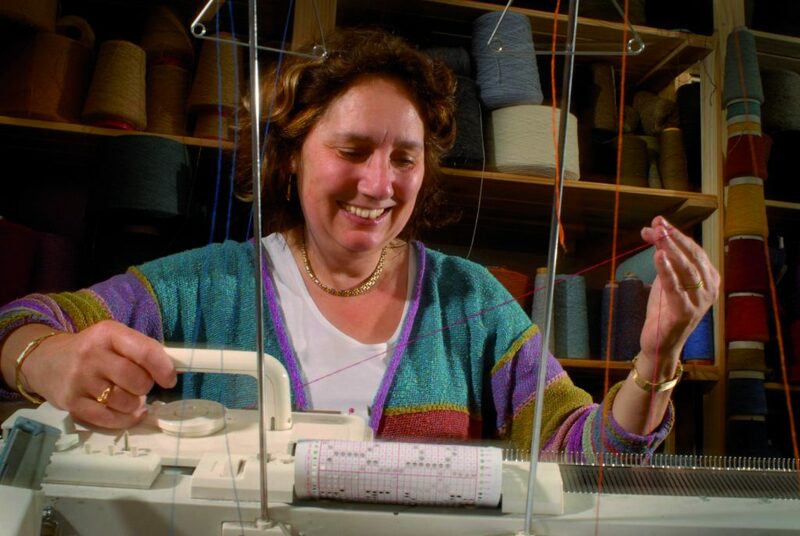 Alison makes knitted textiles that have intricate colour changes and sculptural qualities resulting from her choices of yarn and stitch. 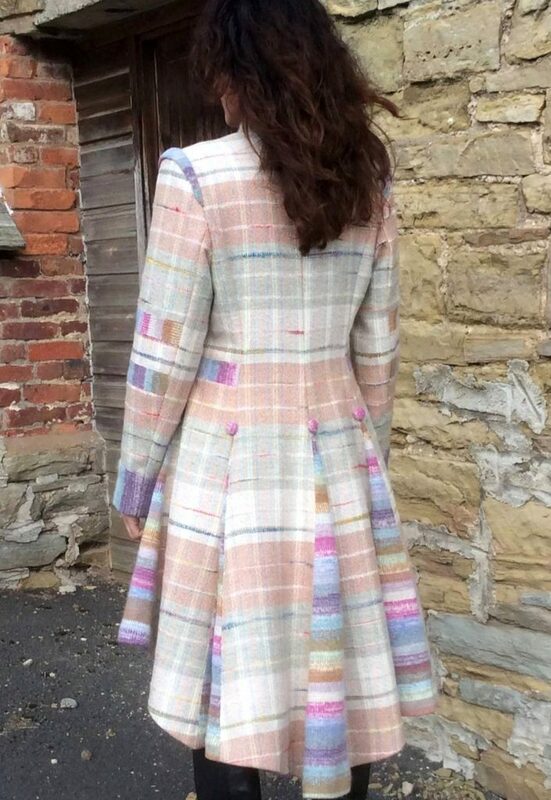 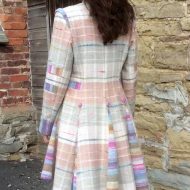 Stephanie is a hand weaver who draws on her training as a fashion designer and pattern cutter to create tailored coats and jackets. 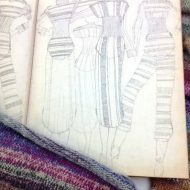 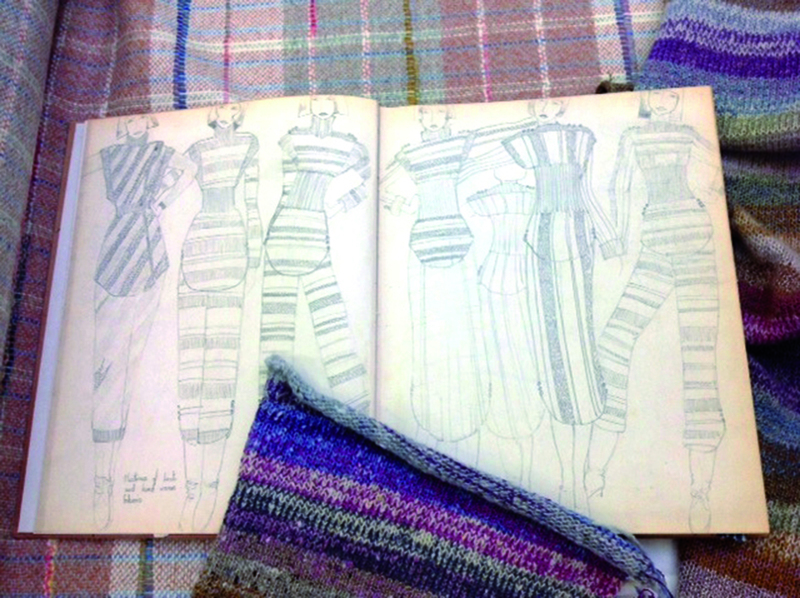 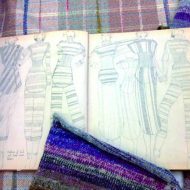 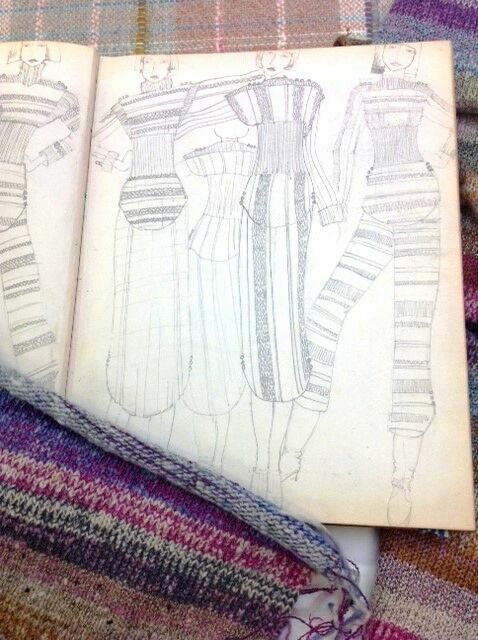 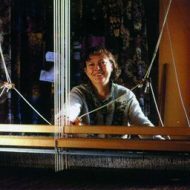 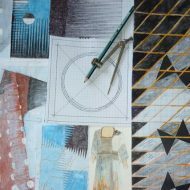 While allowing the colour work to emerge, Alison explored yarn combinations of silk, camel and eco-silk to echo the weight of the woven cloth.